Breast cancer first touched my life at the age of 12, when my mother was diagnosed. Initially, her prospects looked promising, and treatment led to remission, buying us additional precious time together. But three short years later, it re-emerged, and she passed away at the age of 46. Her bravery, strength and grace through breast cancer left an indelible mark upon my life. She was my inspiration to study medicine, in particular women’s health. As a practicing obstetrician and gynecologist, my passion for my patients is infused with the memory of my mother and her struggle with breast cancer. She is a constant presence in my mind every October, which is Breast Cancer Awareness Month. I don’t want to see anyone else lose a loved one to a disease that has become curable. Take the time to learn about the signs, symptoms and risk factors, and make preventive care a priority. 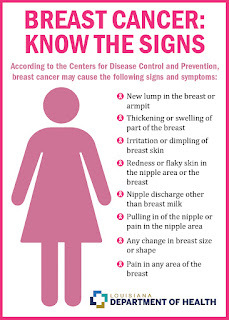 It’s important to remember that these symptoms may not necessarily be an indication of breast cancer, as they can occur with other conditions, especially lumps. Breast lumps are most commonly caused by fibrocystic breast condition, a noncancerous change in the breast that causes lumps, tenderness and soreness, and cysts, small, fluid-filled sacs that can develop in breast tissue. If you are concerned, schedule an appointment with your health care provider right away. Of course, if you are 45 or older, I encourage you to make an annual breast exam a part of your regular care plan. A person’s risk for breast cancer depends on a combination of factors, according to numerous studies, with gender and age as the main determinants. Most breast cancers are found in women who are age 50 or older, according to the Centers for Disease Control and Prevention. Other factors that may increase the risk of breast cancer include smoking, being exposed to cancer-causing chemicals and hormonal changes due to working a night shift. As I mentioned earlier, I urge every woman to take care of yourself and have a regular mammogram. This X-ray of the breast is a simple, relatively quick procedure that could save your life. The CDC even offers free or low-cost mammograms to those who may not be able to afford one through its National Breast and Cervical Cancer Early Detection Program. Having had my share of mammograms – in fact, I’m scheduled for one this month – I know that it may not be the most comfortable procedure and you may want to skip it because you find it painful. Just remember that any discomfort you may experience is temporary. It also helps not to schedule your mammogram for the week before or during your period, because that’s when your breasts are more likely to be tender or swollen. Avoid wearing perfume, powder or deodorant on the day of your mammogram because these products can show up as white spots on the X-ray. You will need to undress from the waist up for the procedure, so maybe save your dresses for another day. A top with a skirt or pants will make the process easier. Such a simple test can save a life. Don’t skip yours. 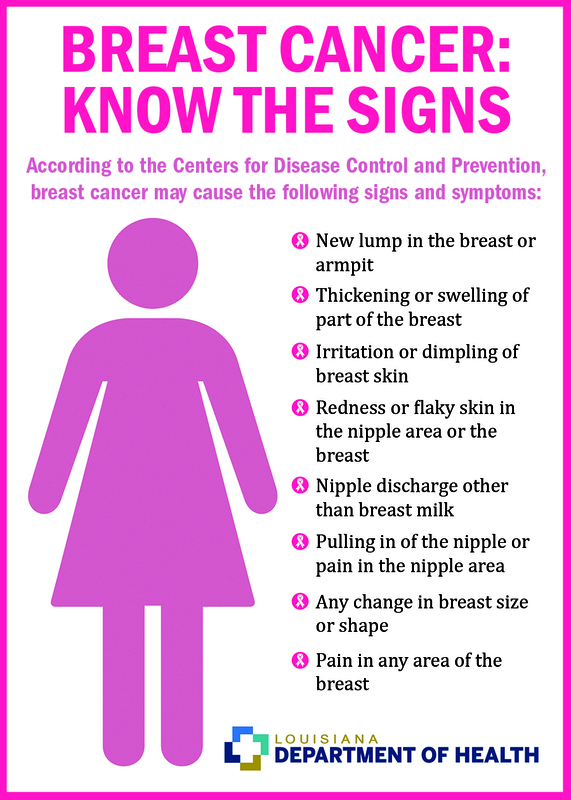 To learn more about breast cancer, visit the CDCand American Cancer Societywebpages. 0 Response to "Take Care of Yourself: Don’t Skip That Mammogram"